Too much strength can lead to rigidity and too much flexibility often tends towards instability, neither of which results in optimum mobility. To be able to move well, one can say it is necessary to have a good balance between the Yang or masculine forces of strength and the more feminine Yin energies of flexibility. 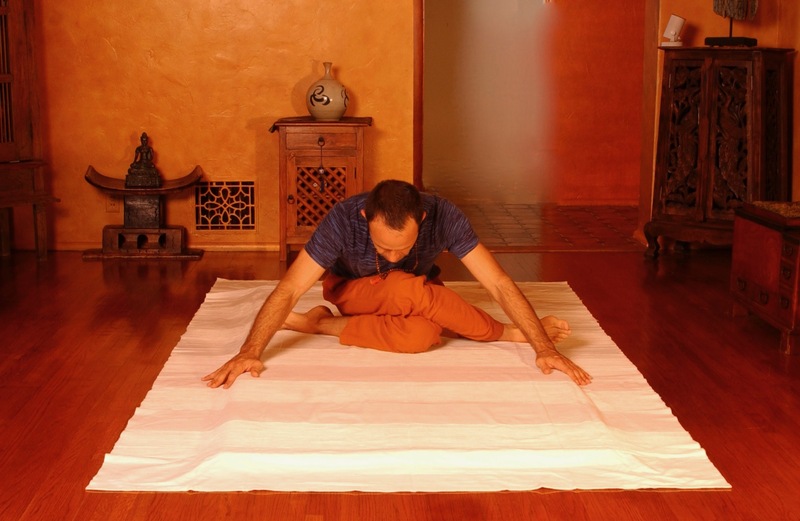 The deonThai METHOD includes a style of one-on-one and/or group coaching intended to guide people towards a more balanced state of being, physically as well as mentally, where a healthy suppleness of mind and a natural agility of body becomes the expected norm. As a Certified Yoga Teacher, Deon de Wet employs a very practical method of movement instruction, based on Yoga asana (exercises) to help his clients achieve this natural balance that leads to maximum mobility of mind and body. Treatment & Coaching sessions are all performed in the pursuit of homeostasis or that natural state of equilibrium where the human organism stays healthy, regardless of external factors that might be changing for the worse. Deon’s yoga classes are always an interesting mix of effort and surrender, where physical alignment, mindful movement and conscious breathing form the foundation for interesting explorations into physical fitness, mental clarity and a sense of ongoing spiritual harmony. Valuable tips and tricks are always included to assist clients in improving their habitual movement patterns and thus optimizing their overall mobility. Depending on the individual client’s tendencies and history, an effective treatment plan can always be devised to educate and empower anyone in taking better charge of their personal health & wellbeing.